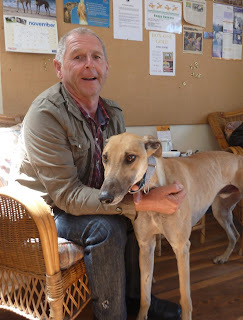 GAP kennel sponsors donate all the kennelling costs asociated with a particular hound. As a new feature on my blog I plan to acknowledge our wonderful GAP kennel sponsors, so I will try to feature them all here. GAP name and thank each sponsor personally on 'We Need Homes' page. 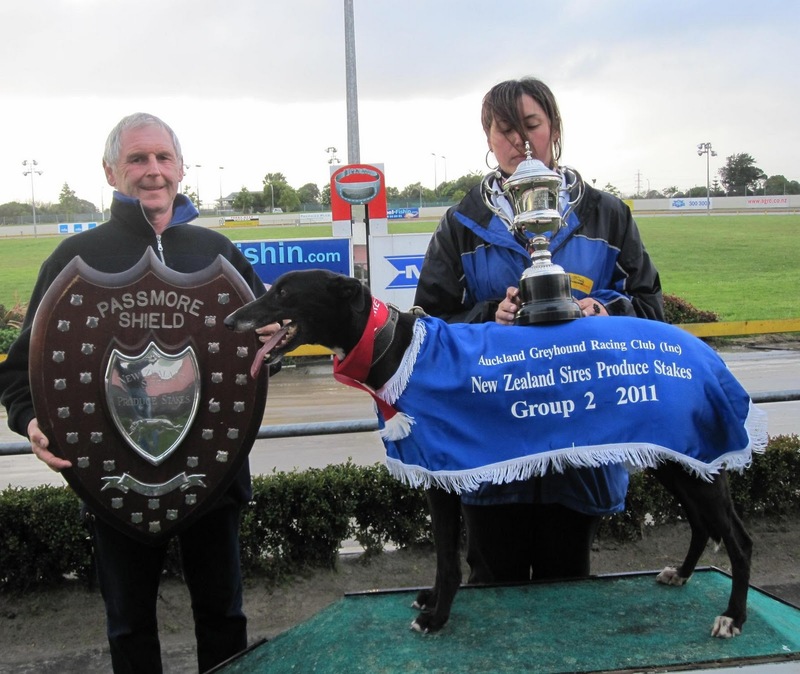 As soon as a sponsored greyhound goes out to their new home, their kennel sponsorship carries over to the newly-entered greyhound who will occupy the sponsored kennel. Kennel sponsorship is based on 30 days per month at $8 per day ( $240 per month). Sponsoring a kennel makes a huge difference to GAP as it allows us to bring more dogs into the programme at busy times. Some people choose to sponsor a kennel for a finite period, such as one month or three months. Others are able to sponsor kennels long-term. Whether they sponsor a kennel for one day or for a lifetime, all our kennel sponsors make a huge difference to the lives of many greyhounds. 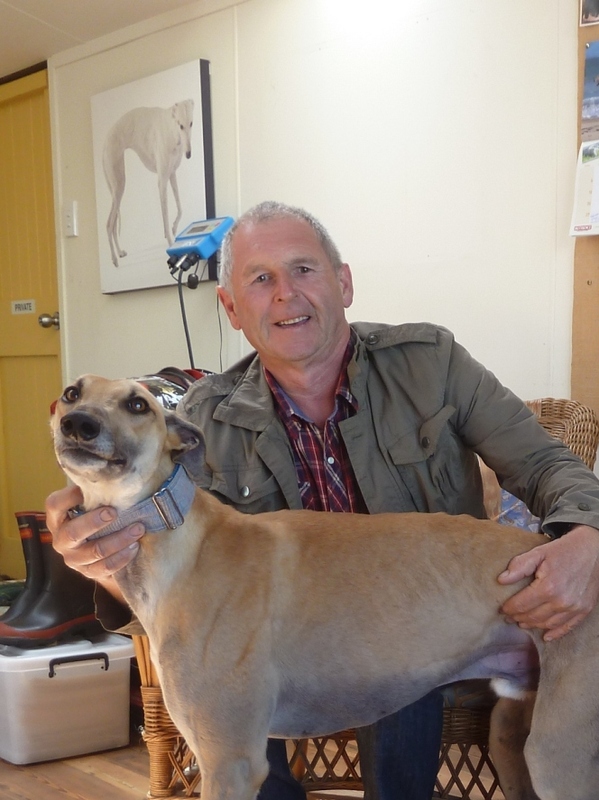 Auckland greyhound trainer Ben Craik and his family have just started sponsoring one kennel in Sanson. I had the pleasure of meeting Ben and his wife Barbara last week. 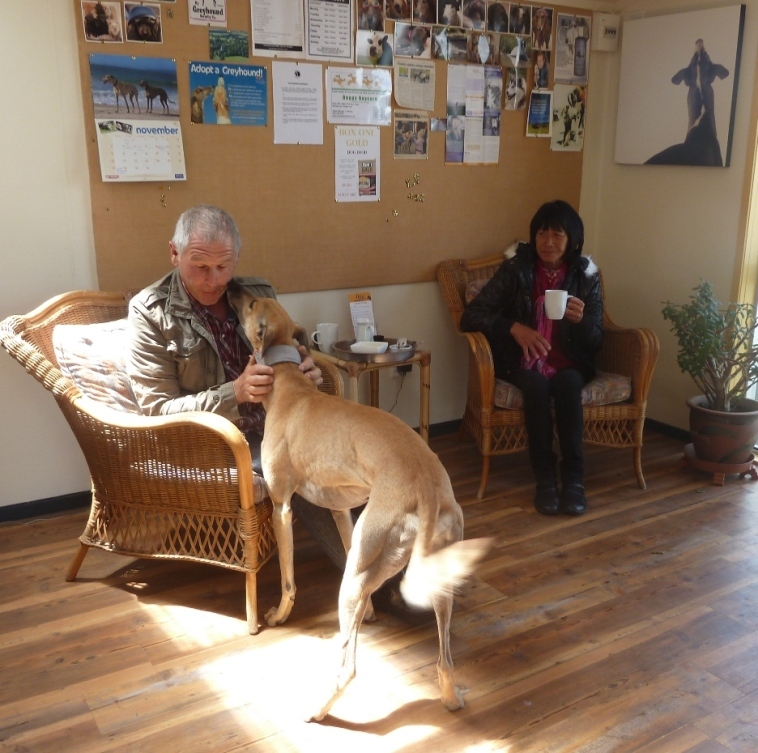 Ben and Barbara , with their daughters Lisa and Tracey, are great supporters of GAP -so far, they have given over 50 of their retired greyhounds to the GAP programme. Ben has also often transported GAP greyhounds up and down the North Island too, in his blue van :) The whole family are great animal and greyhound lovers, as well as very successful and respected greyhound trainers. 1- WHY DO YOU SUPPORT GAP? We have been involved with greyhound racing for a long time and during the early days we retired many greyhounds in our home -well, as many as our house could fit! When we heard that an adoption programme was going to be implemented in NZ we were very happy and knew that this was a cause we would support whole heartedly. For the past twenty years greyhounds have been our livelihood so it's just and fair that we provide for them in their retirement. Since our first adoptive greyhound to present we have received great feedback from their new owners and the GAP staff and we will continue to support this great programme. 2- WHY DID YOU SPONSOR A KENNEL? We have always been interested in sponsoring a kennel and through our involvement with Jacqui (GAP Programme Director) we made the decision to become a kennel sponsor. For us sponsoring a kennel is another way we can support GAP and make sure that our much loved greyhounds find their families. Thanks for recognizing our family - but we must thank you all for your continued hard work and dedication to these wonderful greyhounds. 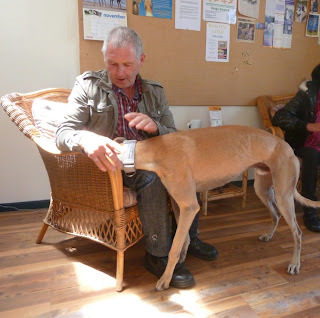 Ben The Greyhound was sure there was a treat in Ben Craik's pocket! I also asked Ben and Barbara for some photos of their racing greyhounds and their retired greyhounds, and they were kind enough to oblige! How cool! Great to read the article - our beautiful Cleo (was Shiloh) was one of their rehomed dogs, and so I loved reading about her history! It's wonderful to learn more about the trainers involved in the industry. Ben and his family are pretty special.